The Christmas Joy Ride is pure delight! I always enjoy Melody Carlson’s Christmas stories, and this is one of my favorites! 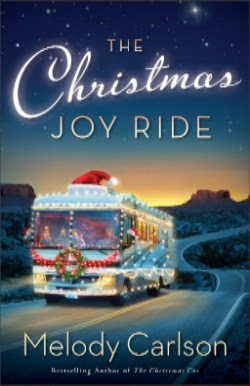 When Joy Jorgenson makes plans to drive her RV along Route 66 to the retirement home in Phoenix, her neighbor Miranda packs a bag and climbs aboard for what becomes the ultimate Christmas joyride. I loved Joy and Miranda’s holiday adventure and the meaningful message of their story! Humorous and heartwarming, Melody Carlson captures the spirit of Christmas in this touching tale. The Christmas Joy Ride is a special story you don’t want to miss! 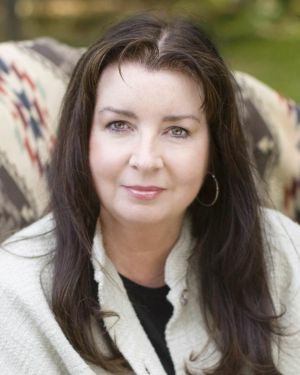 Melody Carlson is the award-winning author of more than two hundred books with combined sales of more than six million. She is the author of the bestselling The Christmas Bus, The Christmas Dog, Christmas at Harrington’s, and The Christmas Cat. She received a Romantic Times Career Achievement Award in the inspirational market for her many books, including the Diary of a Teenage Girl series and Finding Alice. She and her husband live in central Oregon. Learn more at www.melodycarlson.com.